The athleisure trend is BIG for this year. So what does athleisure mean anyways? 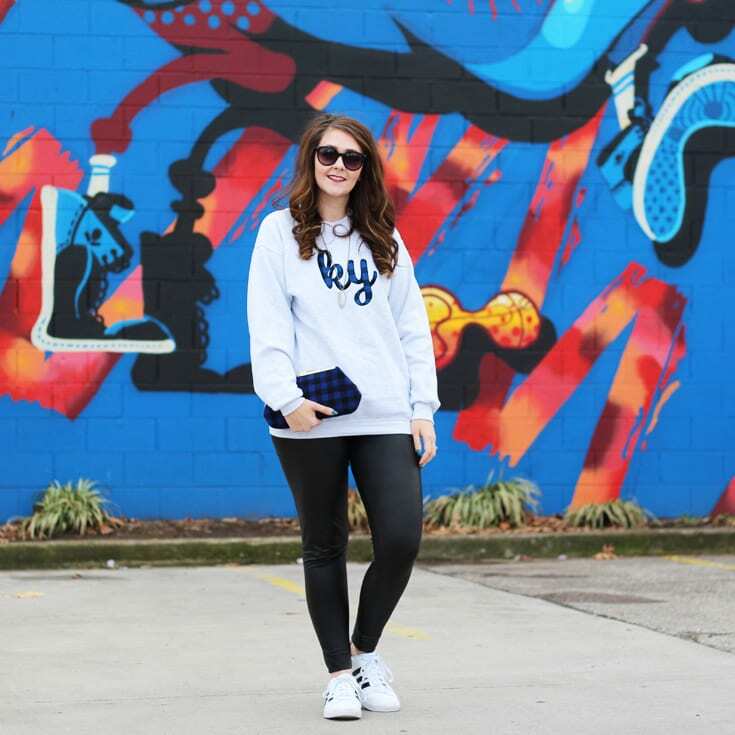 Athleisure is the term for when you wear sporty styles for everyday looks. I love this trend because it’s comfortable but still put together. Here are some tips for pulling off the atheleisure trend. First, start with a pair of leggings or joggers. 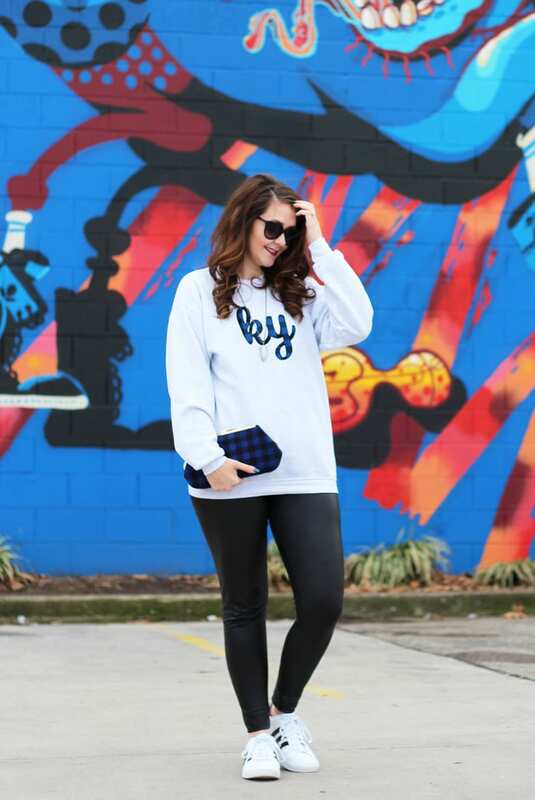 I love these $29 liquid leggings as they kick the outfit up a notch and are a little unexpected. I’ve gotten so much wear out of them since I bought them! Next, add a sweatshirt or pullover. I like to go a little baggy with mine for a slightly oversized look. 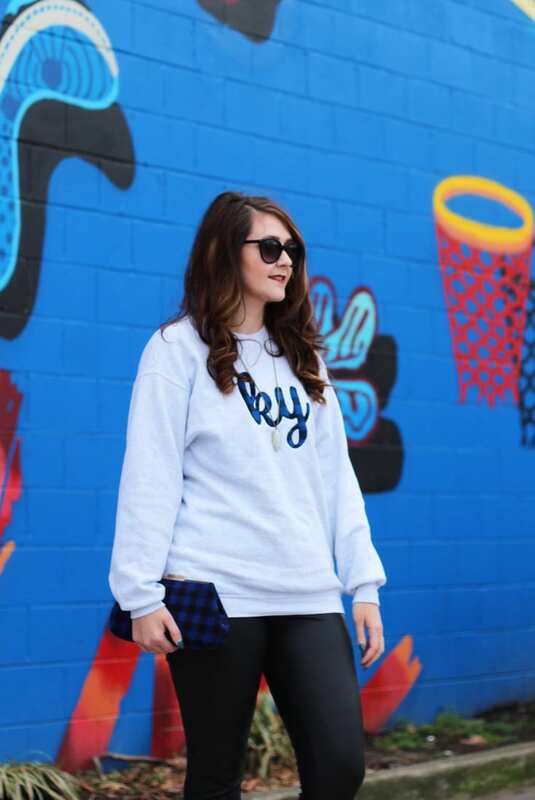 I just got this buffalo plaid Kentucky sweatshirt and it’s perfect, especially if it’s gameday. It’s only $26 + and you can save an extra 10% when you use code Tiff10! 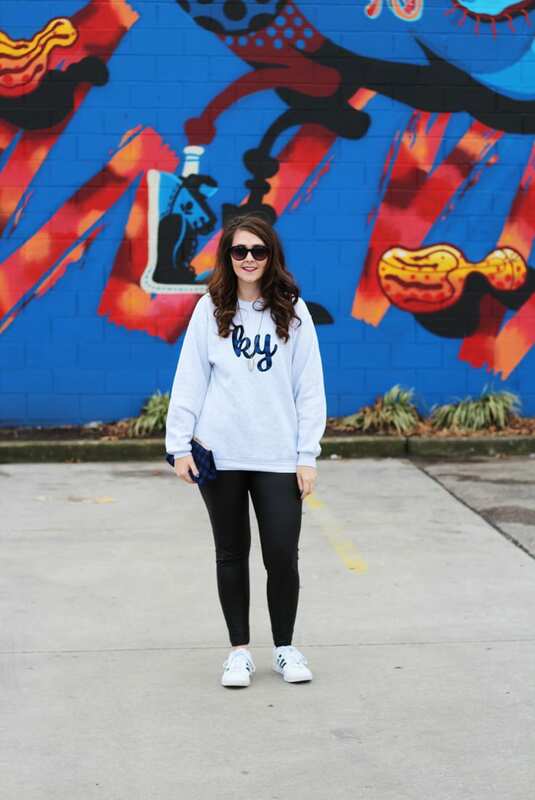 Be sure to check out the other items from The Monogram Shoppe KY as they have some cute, unique monogrammed and Kentucky items in their shop! 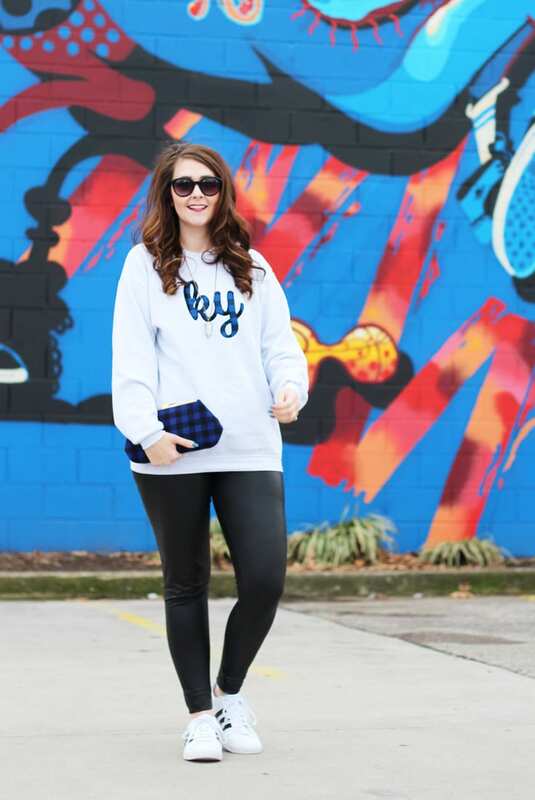 Then, add your favorite sneakers to the mix! These are so hot right now. The pair I have on are actually the unisex version (I borrowed them from Chauncey–thank, hon! ), so if you snag those, size down. I have seen them everywhere. And the fact that they’re only $50 doesn’t hurt! Finally, for a finished look, add accessories. 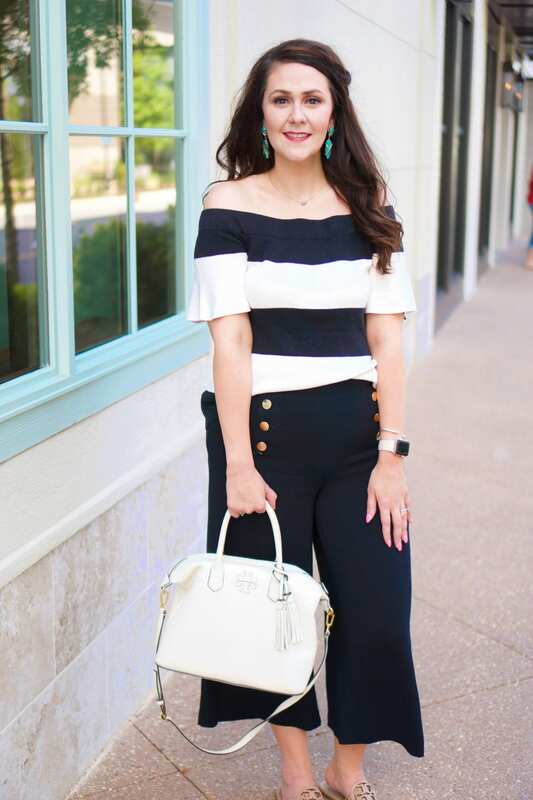 I’ve been wearing this Kendra Scott necklace I got in my latest Rocksbox almost everyday–use code TIFBFF to get your 1st month FREE if you want to try out Rocksbox. 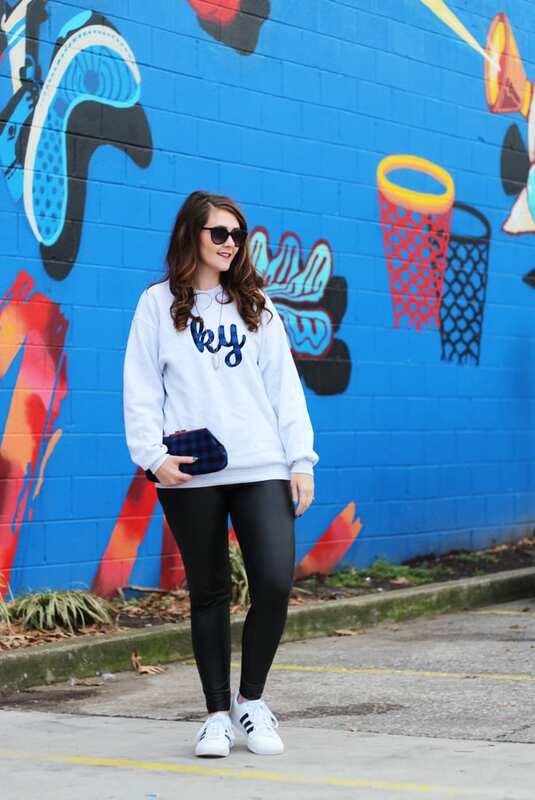 This clutch from my friend’s shop matches my sweatshirt perfectly and is so cute with all of my Kentucky stuff!!! 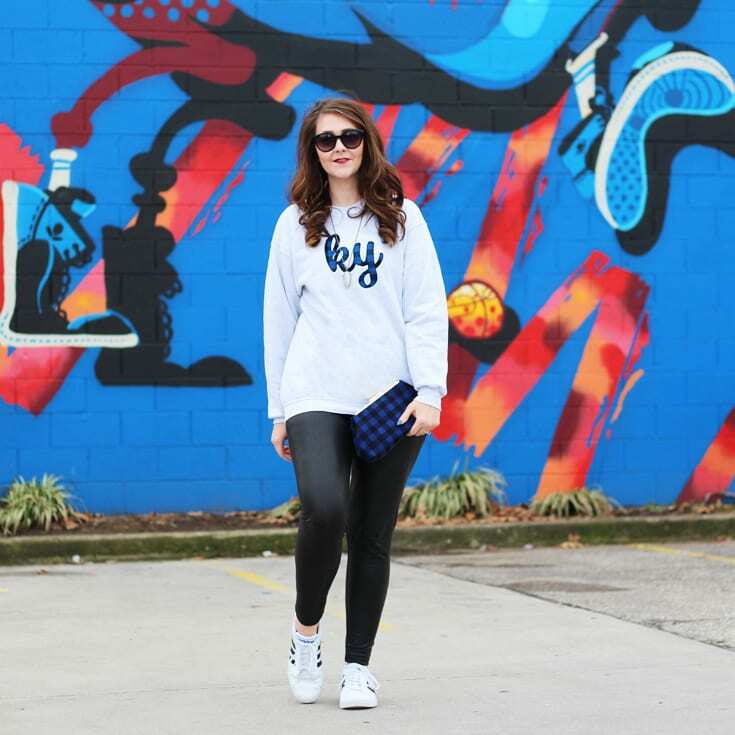 Have you hopped on the athleisure trend yet?